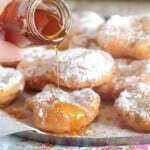 I can’t tell you enough how great these are, you’ll have to try them yourself! Enjoy friends!! Here are some key ingredients in the recipe. 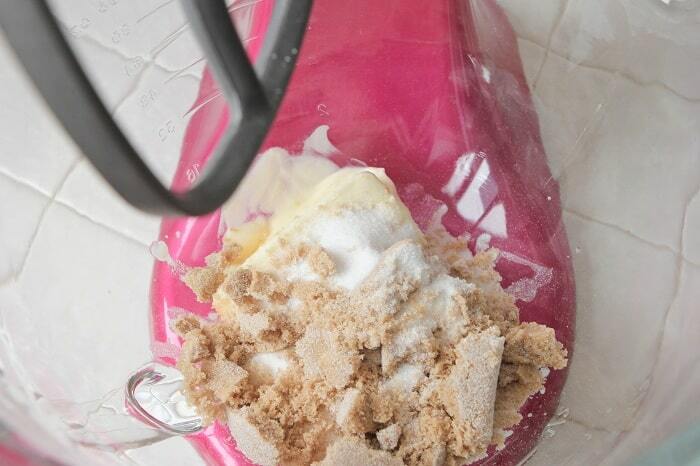 You know the drill, let’s start by adding your butter and sugars to the mixer. Time to mix until well combined. 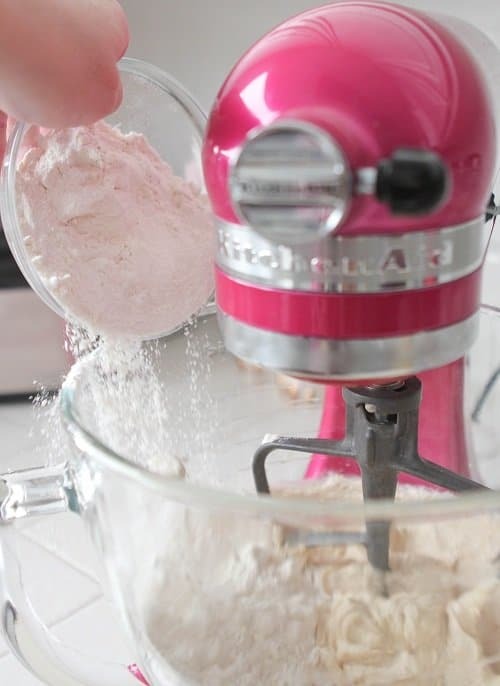 Time to add your dry ingredients, let’s start with the flour. 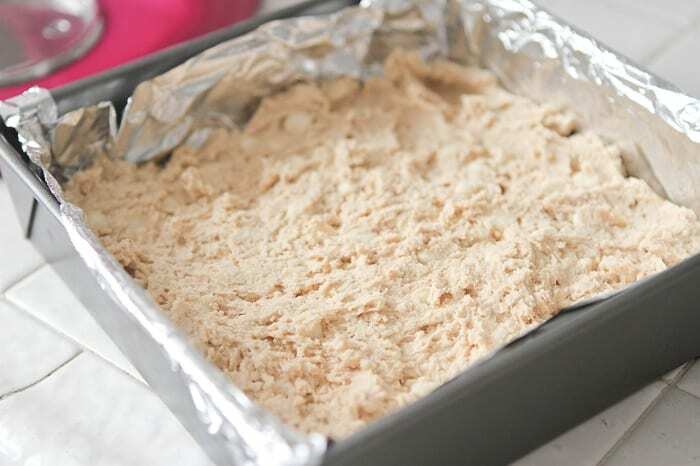 Transfer your cookie dough to an 8×8 inch baking dish and bake! Bake until golden and beautiful, 30-35 minutes. 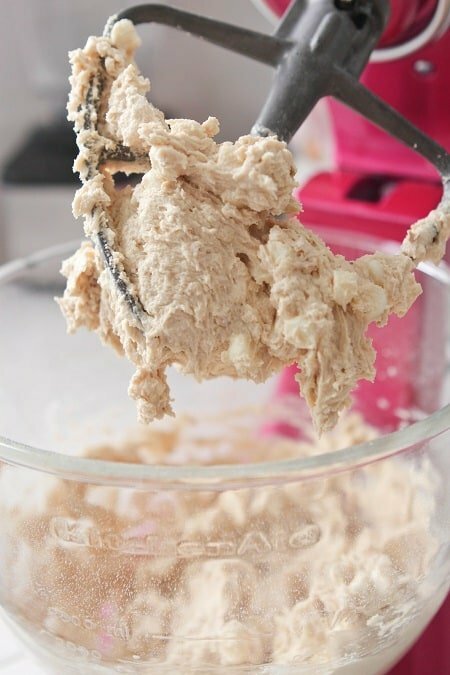 Once the bars are cooled, top with my cookie dough frosting listed in the recipe below. Then….eat! 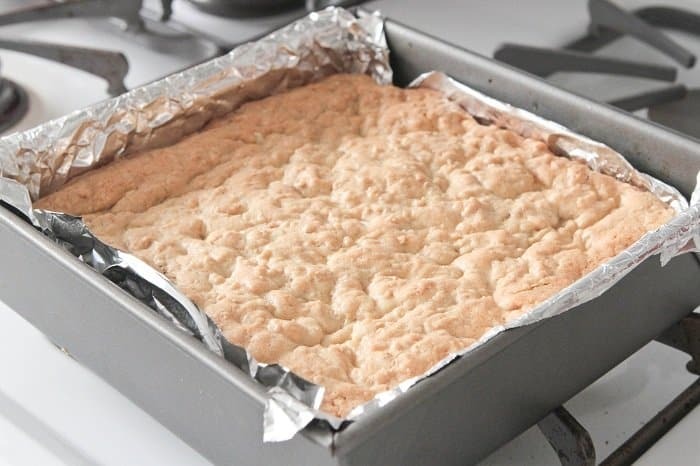 Preheat oven to 350 degrees F. and line an 8×8 inch baking pan with parchment or foil sprayed with cooking spray. 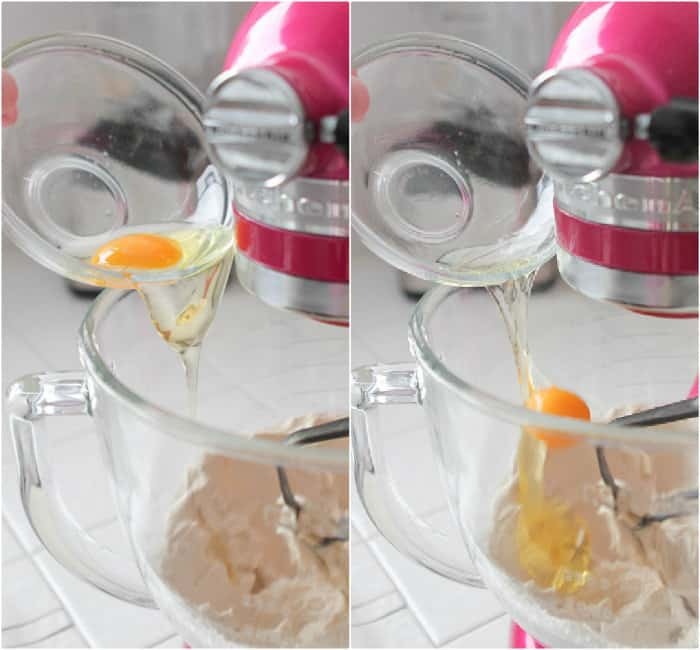 Place butter and sugars into stand or electric mixer beating on medium speed to cream until light and fluffy, about 3 minutes. 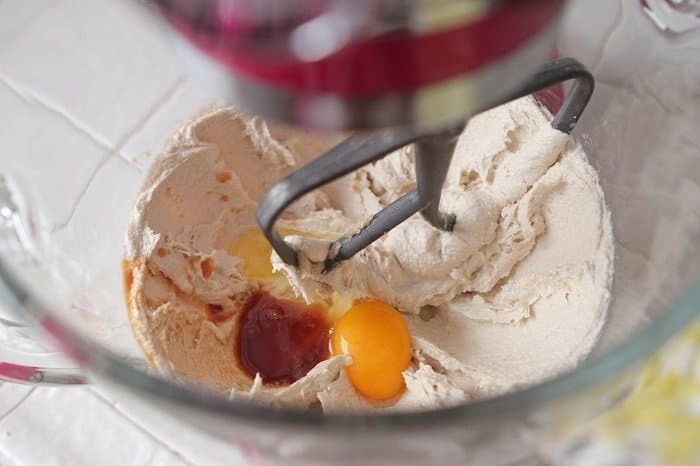 Add egg and vanilla beating until combined. 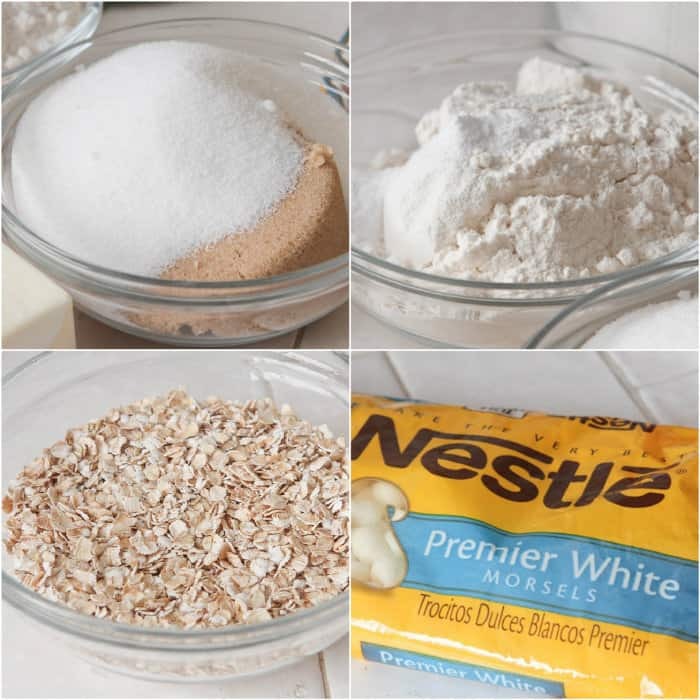 Add flour, oatmeal, baking soda and salt mixing on low to combine following the white chips. Beat until just combined then transfer to prepared baking pan spreading evenly. Bake for 30-35 minutes or until baked through and golden. 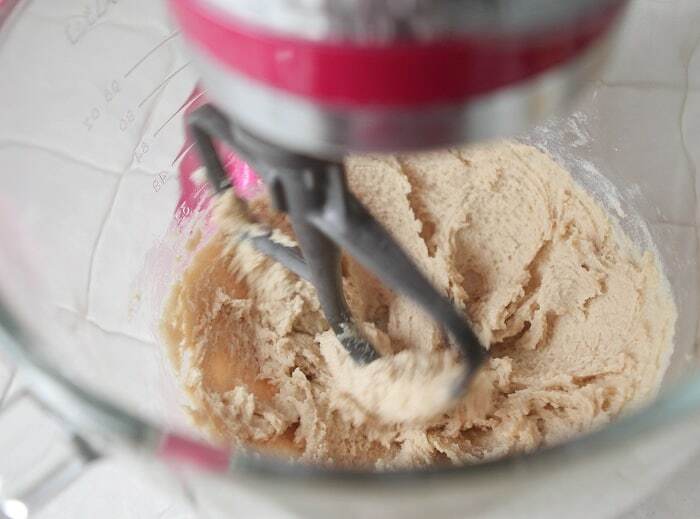 While cookies are baking prepare frosting. 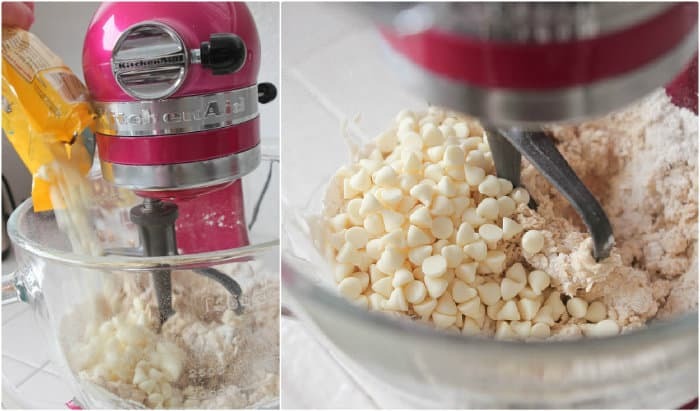 Place butter and sugars into stand or electric mixer beating on medium speed to cream until light and fluffy, about 3 minutes. Add vanilla beating until combined. 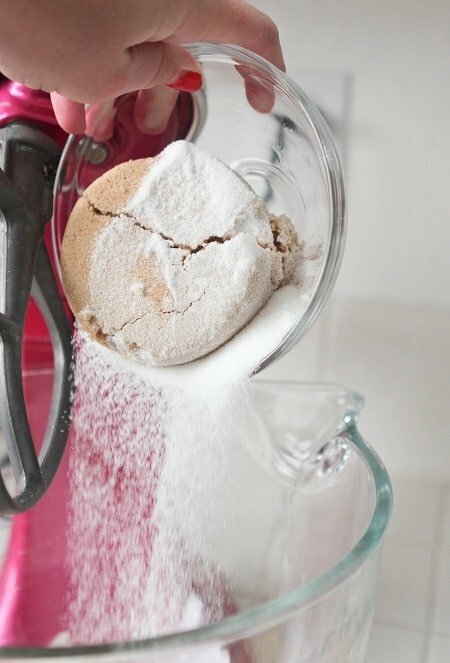 Add flour, oatmeal, and salt mixing on low to combine following the white chips. 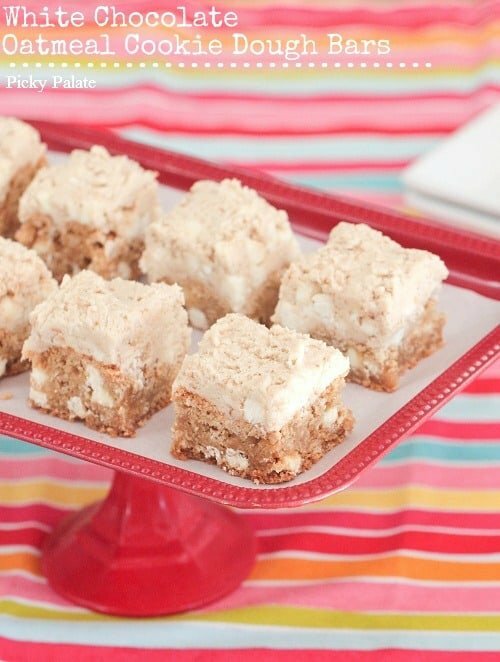 Spread over cooled cookie bars then cut into squares and serve! 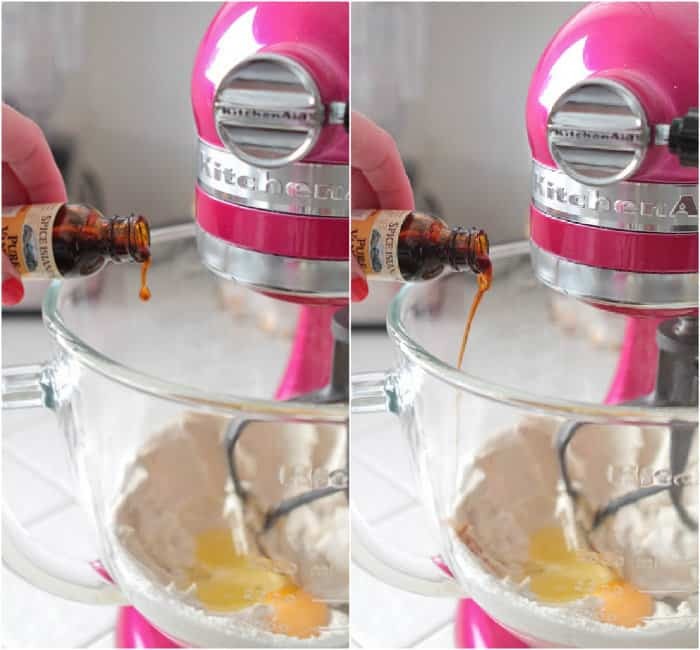 The dough looks amazing but the addition of that frosting just puts them over the edge! Love both white choc & oatmeal. Awesome, Jenny! 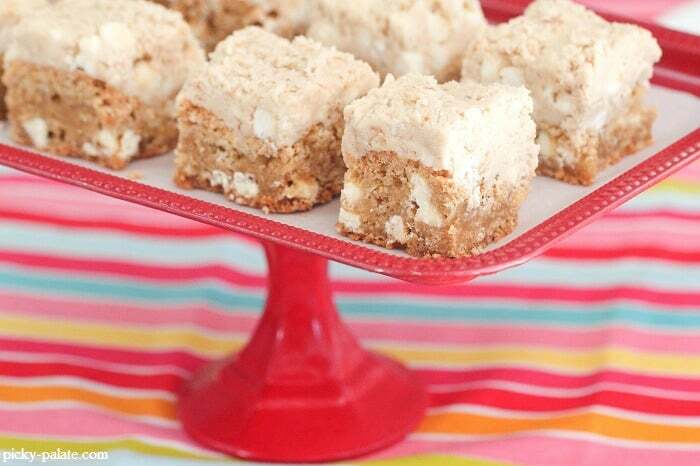 You had me at white chocolate and oatmeal…and cookie dough didn’t sound so bad either! 😉 This recipe looks fabulous! Love the photography here…the use of light is amazing! I’m excited to try these out. Oh my goodness, do those every look good! You and your little guy are in my thoughts. THat frosting looks like a meal in itself…which is fine by me! I don’t at all like white chocolate, but I had to say that I *love* the display! The pedestal/tray and the tablecloth are so cheery!! These look amazing! 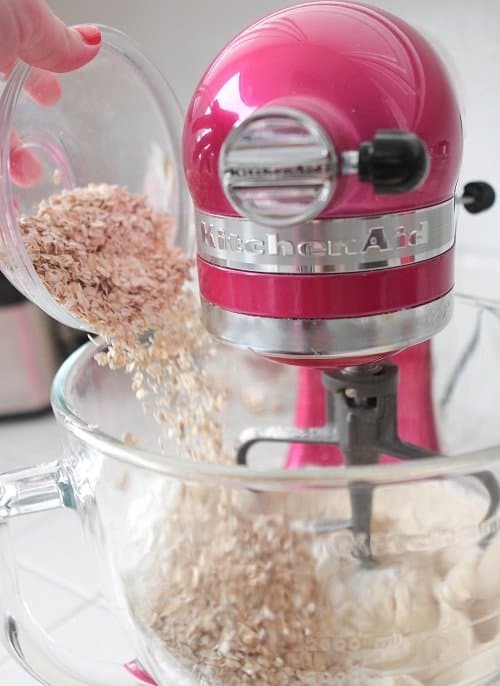 By the way, have I mentioned that I love your pink mixer?! Oatmeal white chocolate chip are some of my favorite cookies. I love these bars, Jenny! Why good things for the mouth are not good for our hips … ! Unfair life ! I adore white chocolate. I feel like it isn’t given credit nearly enough. HUGE fan of white chocolate and need these in my life! White chocolate takes love over milk chocolate any day in my book! These bars look sinfully delicious, but not too sinful for me 🙂 the cookie dough frosting is outrageous! Looks like I know what I’ll be eating this weekend! <3 thanks Jenny! I’m a big fan of white chocolate. These look amazing Jenny! This looks like a yummy recipe..and they say you eat with your eyes first, these are pretty too! Really good, but very sweet and rich! Only problem I had was that my cookie dough on top was too dry and crumbly. I had to add water to the dough to get it to spread. Also, if you don’t eat them right away, the dough drys back out. If you are taking them to a party, they will go quickly and you won’t have this problem! 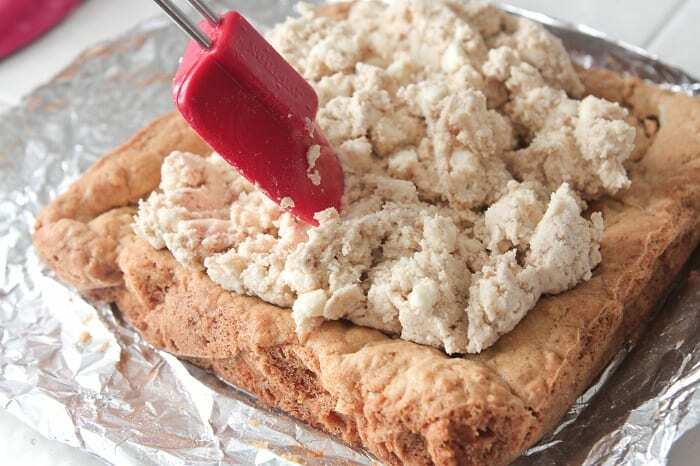 Love the dessert, but I had the same problem with the frosting (crumbly)… I added a bit more butter, and it was great – and didn’t dry out after a little time had passed. They were a huge hit at the bbq I took them to. You’re such a good baker! 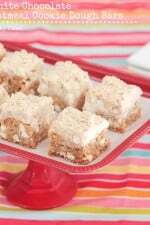 I love a good oatmeal cookie but these bars are over the top! Love the write chocolate addition and the frosting, mmm. Making them right now, thanks for those who left the comments about the frosting being dry, I thought it was my lack of baking skills. Adding more butter and it looks just like the picture, can wait to try these tonight!!! I just baked these. I can’t wait to try, but the frosting tastes great already! thanks for providing thhese kinds of statistics. email subscription hhyperlink or newsletter service. Do you’ve any? Hi Mia, you can definitely substitute white chocolate. It’ll just be a little different taste. Good luck! 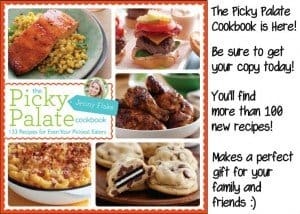 – Picky Palate <Loved it! NextJob portal is a revolution in the Human Resource Industry. It is going to change the traditional way of Talent Acquisition across the globe.